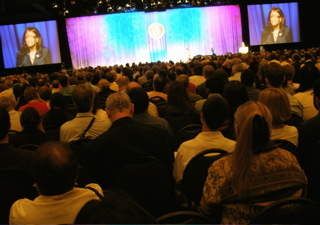 Regional Conferences are typically about District Executive Training and International Speech Contests. But while there is plenty of hard work, a fun time can also be had. But staying in the vein of contests – the duty for the evening was to participate in a lipsync contest and our District 42 Quartet decided that we would pay homage to Queen at the Region IV Conference, June 2008 Rapid City, South Dakota. 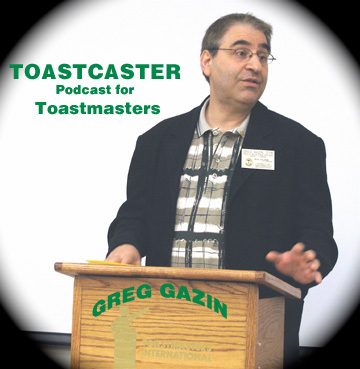 The Toastmasters in the video are the District 42 Executives. Joan-Saskatoon, SK (DG), Tim-Regina, SK (LGET), Greg-Edmonton, AB (LGM) and Keith-Calgary, AB (PRO). A part of the choreography was inspired by a video was saw on YouTube What's interesting is that all 4 are from 4 different cities in 2 provinces in Western Canada. The performance took 1st Place! The things we do for Toastmasters. Sit back and Enjoy! You can also view this video in larger format on YouTube.